Home | A&L Series presents: Philadanco! SPSCC and Ballet Northwest are proud to present the next feature of the 2018-19 Artist & Lecture Series, the Philadelphia Dance Company (PHILADANCO), on April 25, 2019, at 7:30 p.m. in the Kenneth J. Minnaert Center for the Arts. Presented in partnership with Ballet Northwest, PHILADANCO is a nonprofit organization building bridges between diverse communities through professional dance performances since its founding in 1970. PHILADANCO is recognized across the globe for fostering emerging dancers and its electrifying performances that contribute to the preservation of African-American traditions in dance. Tickets to the April 25 performance are available for $28 or less through the box office at The Washington Center for the Performing Arts. Admission is free to SPSCC students, staff, and faculty. 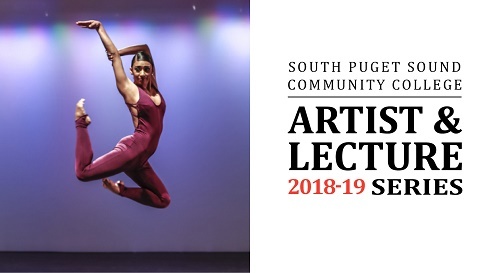 The Artist & Lecture Series brings nationally and internationally recognized artists and speakers who offer diverse and innovative views and performances to the campus and local community, giving audience members the chance to broaden their cultural experience.